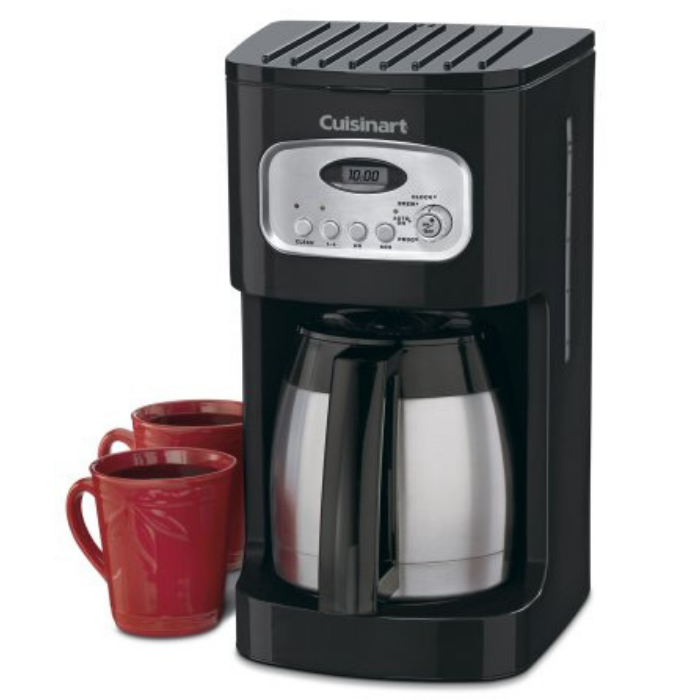 Cuisinart 10-Cup Coffeemaker Just $58! Was $165! PLUS FREE Shipping! Don’t miss this amazing deal from Amazon! You can get this Cuisinart 10-Cup Classic Thermal Programmable Coffeemaker for just $58.28, down from $165.00. PLUS FREE shipping! A nice addition to any modern kitchen, this fully automatic 10-cup programmable coffeemaker features 24-hour programmability, great for waking up to the aroma of freshly brewed coffee. 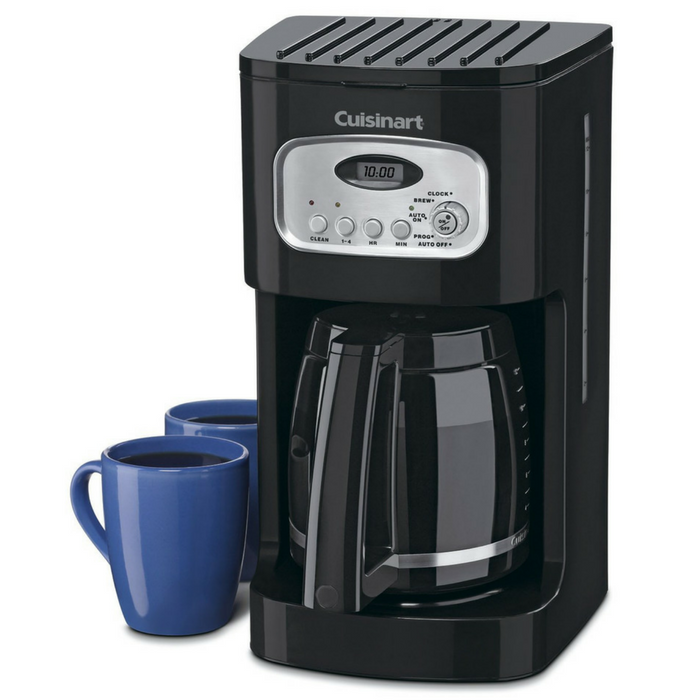 You’ll love the way this Cuisinart 10-Cup Programmable Coffeemaker looks on the counter! Enjoy the full programmability, easiness of use, double-wall thermal carafe, and of course, great tasting coffee. Offers a 1- to 4-cup setting for brewing a smaller amount without compromising the flavor. Has a brew-pause function that allows for pouring a cup before the brew cycle has completed. The 10-cup double-wall insulated thermal carafe comes with a generous stay-cool handle and a dripless pour spout for comfortable, drip-free serving. Automatically shuts off at the end of the brewing cycle and its 60-second reset “remembers” where it was in the brewing process and settings. Comes with a charcoal water filter, a gold-tone filter, and a user manual. Carries a three-year limited warranty.